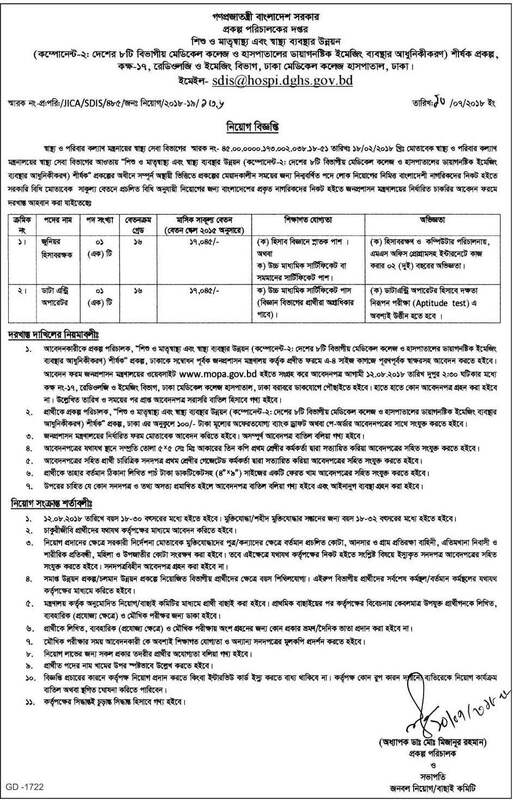 Directorate General Of Health Services DGHS published New job vacancy Notice at www.dghs.gov.bd . DGHS Job Circular offer New vacancy in this post. MBBS Degree,Graduate Student also apply this DGHS govt circular 2018. Directorate General Of Family Planning Job Exam Notice said that DGHS MCQ Test Exam will be held on 12 August. 2018 .